Gunmen on Wednesday invaded the venue of the Anambra South senatorial primary of the All Progressives Grand Alliance (APGA) at the Township Stadium, Ekwulobia, in the Aguata area of the state. As a result, Bianca and others were forced to flee for their lives. 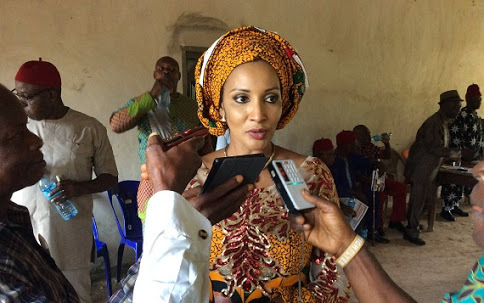 Bianca, widow of the late Ojukwu, alongside businessman, Nicholas Ukachukwu; and the son of a First Republic aviation minister, Ikenna Mbazuluike-Amaechi, are major contenders in the senatorial race on the platform of APGA. The Punch reports that the Police also released canisters of teargas and fired several gunshots to scare away the hoodlums.